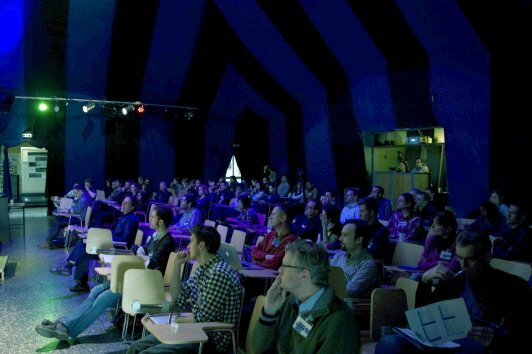 ...be curious about a meeting in a huge tent! Download PDF flyer for GeoViz_Hamburg. Sources of spatial data abound. Some spatial data are well-structured, others are messy. Some data sets are so large that they have been creatively named 'big data'. Analysing and synthesising these messy, large datasets to produce meaningful insights about phenomena and processes provides both computational and cognitive challenges. While computers can provide answers, people are required to make those answers meaningful. At the same time, the world faces significant problems that are affecting or will soon begin to affect our daily lives: food insecurity, climate change and environmental hazards, traffic congestion, economic crises, and species extinction, among others. But both computers and people can do amazing things when tasked with a challenge. These amazing things, however, do not arise out of nowhere. They require a concerted effort to design interactive analytical cartographic representations of these messy, big data sets; representations that can effectively support spatio-temporal inference and decision making by people. Thus there is a need to bring together researchers who can contribute to our understanding of how technology, people and spatial representations of information work effectively together to solve the world's pressing problems. This specialist workshop, jointly organised by the ICC Commissions on Geovisual Analytics and Cognitive Visualization and HafenCity University, Hamburg, will bring together researchers focused on the design, implementation and evaluation of interactive analytical cartographic representations. 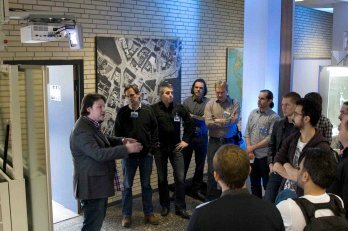 This meeting will follow the format of the successful GeoViz Hamburg meetings of 2009 and 2011.